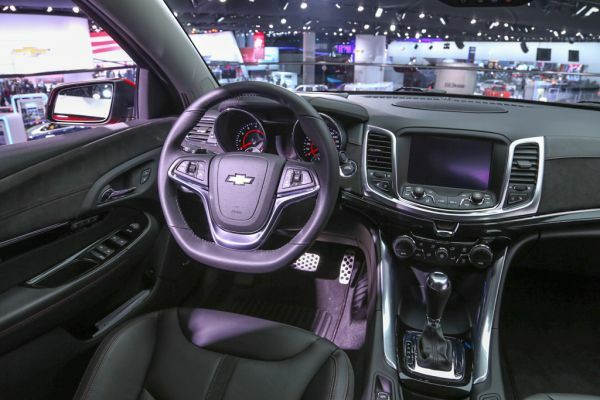 2015 Chevrolet SS is a full-size sedan that will surprise you with its hidden performance, as it looks very simple from outside. Its architecture is based on Holden Commodore of Australia. It is available in only one trim. It competes with 2015 Dodge Charger, 2015 Ford Taurus and 2015 BMW 5-Series. The outer appearance of SS indicates repressed power that is waiting to leap out. Rear lip spoiler, conspicuous fender vents, 19-inch aluminum allow wheels and huge grille openings stand for the mammoth strength that SS holds in it. The space in the trunk is quite commendable but does not have an exterior release option. It is a 4-door sedan with a wheelbase of 114.80 inches. It has length, width and height of 195.50 inches, 74.70 inches and 57.90 inches respectively. It has base curb weight of 3975 pounds. What you will truly appreciate about the interior is the huge legroom provided for all. It has a passenger capacity of 5. In the front, seats are comfortable and offer great support. Headroom of 38.70 inches and legroom of 42.30 inches are amazing. The second row headroom and legroom are 37.50 inches and 39.70 inches respectively. Standard features include Magnetic Ride Control suspension, rear-view camera, Wi-Fi connectivity, Bose audio system with 9 speakers, 8-inch touchscreen display and navigation for MyLink infotainment, and cooled and heated front seats. Optional features include full-size spare tire and sunroof for which you will have to pay extra. SS is powered with a single engine that is very powerful. It is 6.6 liter V8 generating 415 horsepower @ 5900 rpm and a torque of 415 lb.-ft. @ 4600 rpm. Rear wheel drive is available. The engine is mated with either a 6-speed automatic transmission having paddle shifters for manual control or conventional 6-speed gear shifter and 3 pedals on the floor. It offers mileage of 14/21 mpg for city/highway. The cost of SS is around $44,000 and can vary as per the optional features included. It is slotted to be released in the US market in mid or late 2015. 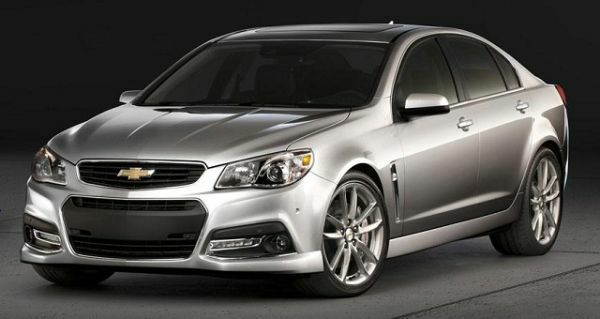 SS is a full-sized sedan that is highly appealing for its spacious interior and a decent exterior. It is a beast performance-wise that you can realize only when you drive it around. 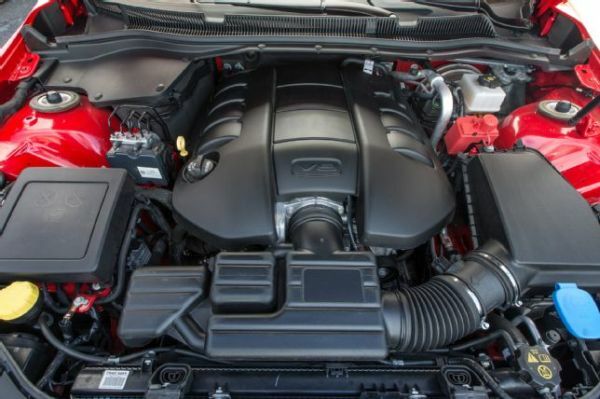 Only one engine is provided with it that offers great power and mileage. 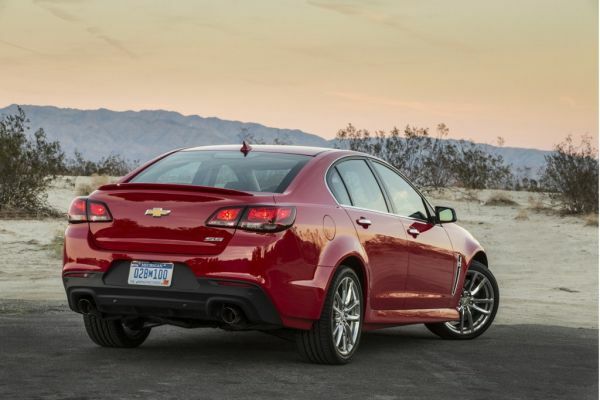 2015 Chevrolet SS is great for carrying family as well as hauling cargo because of its good trunk space.